IUPAC was formed in 1919 by chemists from industry and academia. Over nearly eight decades, the Union has succeeded in fostering worldwide communications in the chemical sciences and in uniting academic, industrial and public sector chemistry in a common language. IUPAC has long been recognized as the world authority on chemical nomenclature, terminology, standardized methods for measurement, atomic weights and many other critically evaluated data. PAC became an important instrument for maintaining technical dialogue among scientists throughout the world. 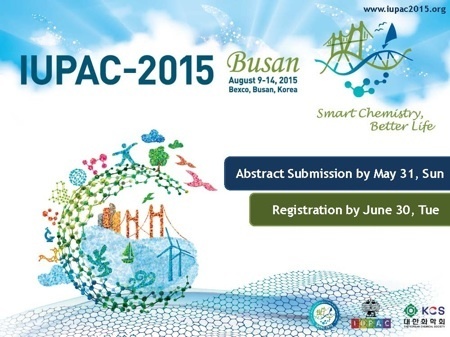 IUPAC holds its 2015 General Assembly and Congress in Busan, South Korea, from 9 to 14 August.